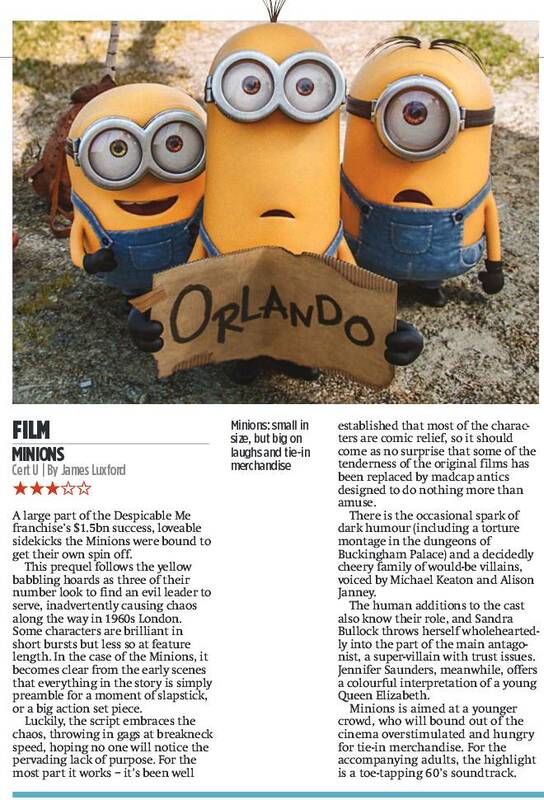 CityAM: “Slow West” and “Minions” reviews. Please click the images above to read my reviews of “Slow West” and “Minions” for London newspaper City AM, which appeared in the newspaper on 26th June. Posted in City AM, Movie Review | Comments Off on CityAM: “Slow West” and “Minions” reviews.